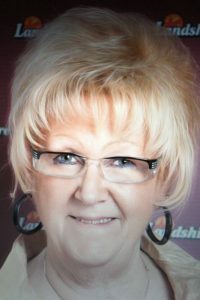 Rose Lee, nee Forbeck, Gayer, 70, of Belleville, IL; born on July 17, 1948 in Belleville, IL; passed away on Monday, February 4, 2019 at her home with her family by her side. Mrs. Gayer worked as a customer service representative for Landshire Foods. She was a member of St. Augustine of Canterbury Catholic Church. Rose enjoyed playing bingo and cards. She was preceded in death by her parents – Joseph and Leona, nee Linder, Forbeck. Her husband – Donald Gayer whom she married in September of 1980 and who passed away in May of 1997. One brother – William Forbeck. She is survived by her loving daughter – Crystal (Paul Buxton) Gayer of Belleville, IL. One brother – Robert (Glayds) Forbeck of Millstadt, IL. One sister-in-law – Diane Forbeck of Mascoutah, IL. Two nieces – Debra (Barry) Hayden of Millstadt, IL; Lisa (Tracy) Lorenzen of Chrisman, IL. One nephew – Robert (Pamela) Forbeck of Millstadt, IL. She is also survived by many great nieces and nephews. Visitation: Friends may call at St. Augustine of Canterbury Catholic Church in Belleville, IL on Sunday, February 10, 2019 from 2:00 p.m. to 2:30 p.m..
Funeral: Services will be held at St. Augustine of Canterbury Catholic Church in Belleville, IL on Sunday, February 10, 2019 at 2:30 p.m. with Father William McGhee officiating. A celebration of Rose’s life will be held at TR’s Place in Belleville, IL at 4 p.m. I worked with Rose at Landshire and really got to know her better when we rode the Metro Link to work every morning. We’d meet at the Metro “Moose” station and always tried to sit right behind the conductor. She could always muster up something funny to say and not only have me laughing; but entertained the whole front car – (ocassionally the conductor could even be seen giggling). And boy was she a snazzy dresser. I would tease her that she was the fashion plate of Landshire. My deepest sympathy to her family, especially her daughter – she was so proud of you. Always talked about you with a twinkle in her eye. I always looked forward to sitting at the front desk at Landshire and joking around with Rose. She will be greatly missed. Rest In Peace. May she Rest In Peace Rose Lee and I were dance buddies during our single years and we always had a good laugh when reminiscing about our past adventures. She was a bridesmaid in our wedding and work associate when she was employed by Ralston Purina Company. She will be missed. My condolences to the Family. May Rose rest in peace in heaven. My condolences to the family, I worked with Rose Lee at Landshire I enjoyed talking with her almost daily. She was always joking and fun to talk with I know all of us at Landshire will miss her. My sympathy to The family. Rose was well liked in high school, a very sweet lady.